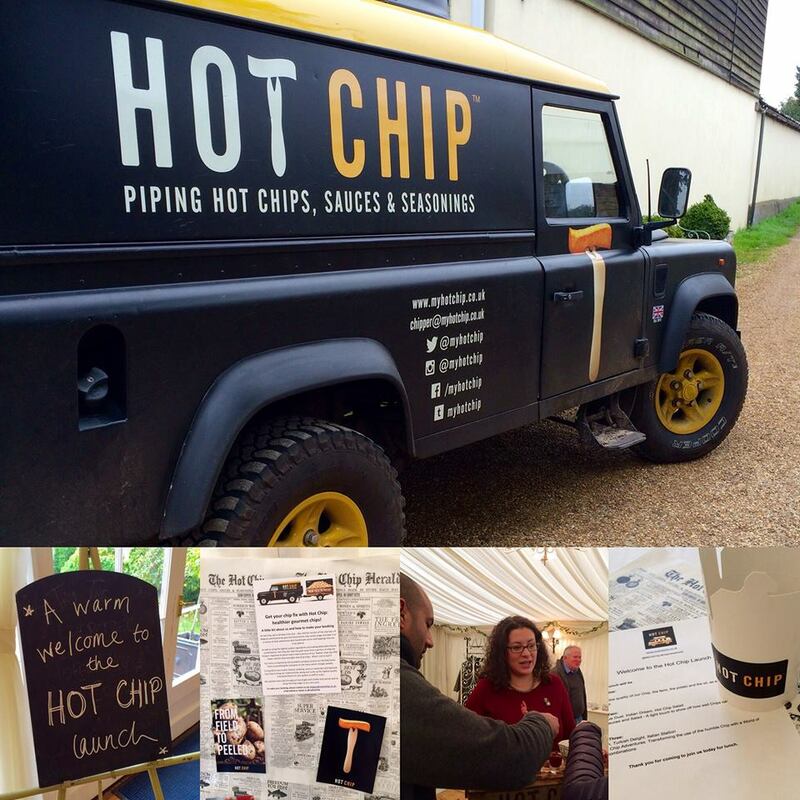 Hot Chip was founded by Hugh Crossley (Lord Somerleyton) and Toby Marchant. 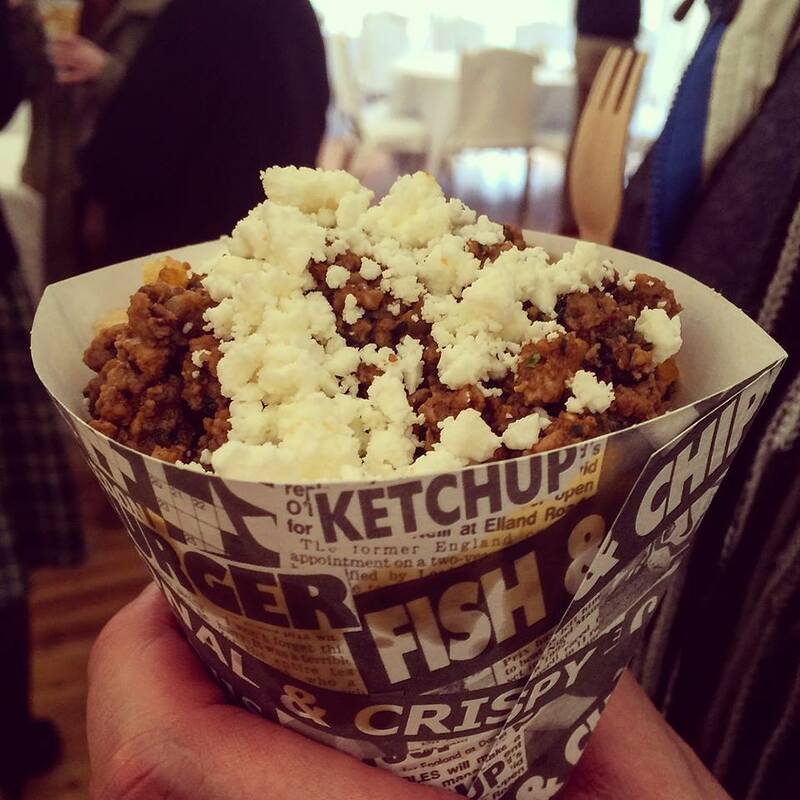 Their combined business acumen and restaurant expertise led to the creation Hot Chip, purveyors of gourmet chips matched with intriguing sauces and toppings. Some of their combinations with the humble chip taking centre stage don’t readily spring to mind, but they work! Hot Chip had a presence in Norwich for two years and built quite a following at their shop. 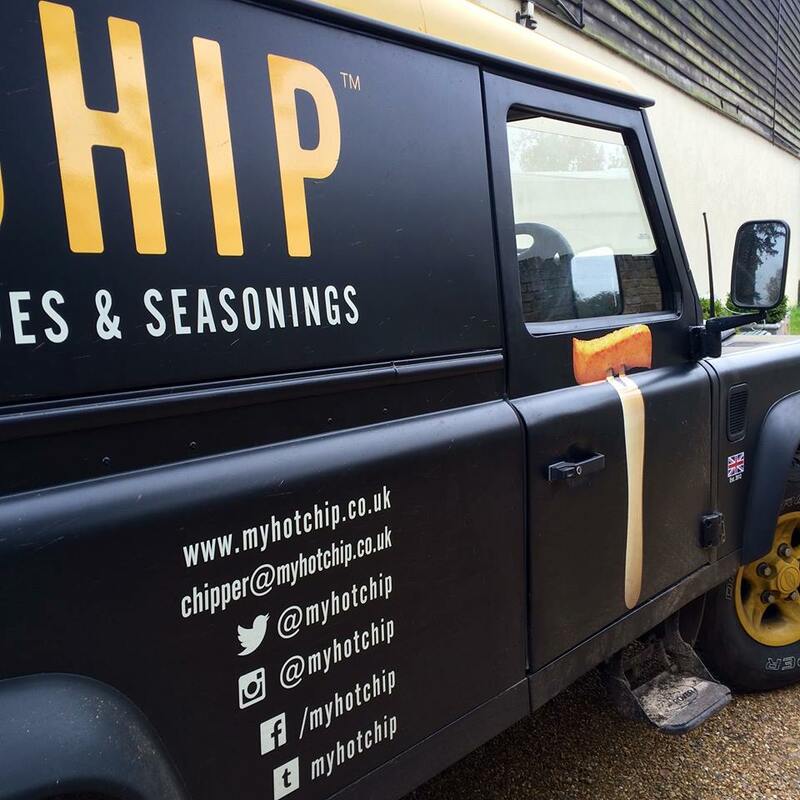 In order to bring their delicious chips to a greater number of customers, they decided to embrace street food and go mobile… and so the eye-catching Hot Chip Land Rover was born. 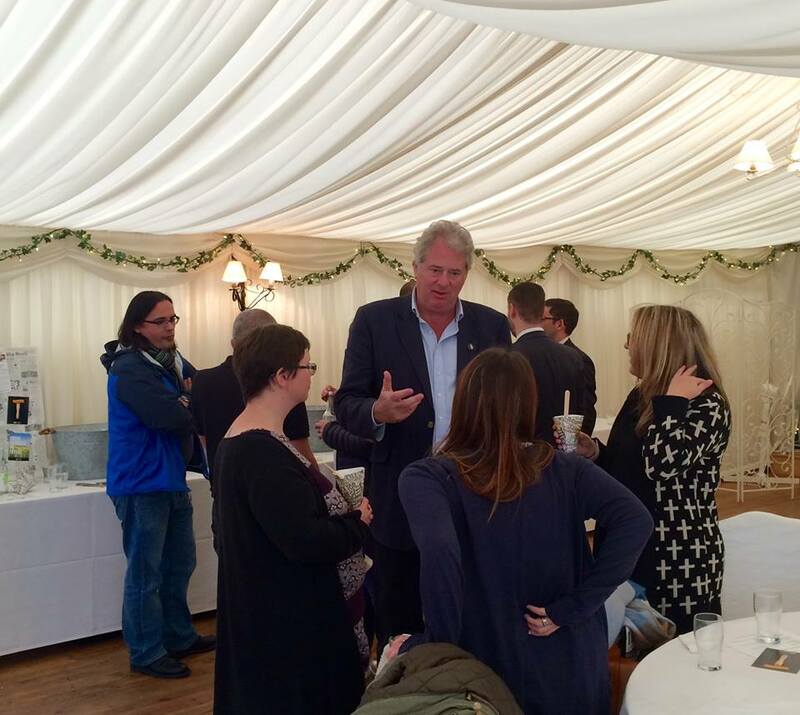 They have already started taking East Anglia and London by storm but held their official launch in Cambridgeshire on 16 October at Burwash Manor. 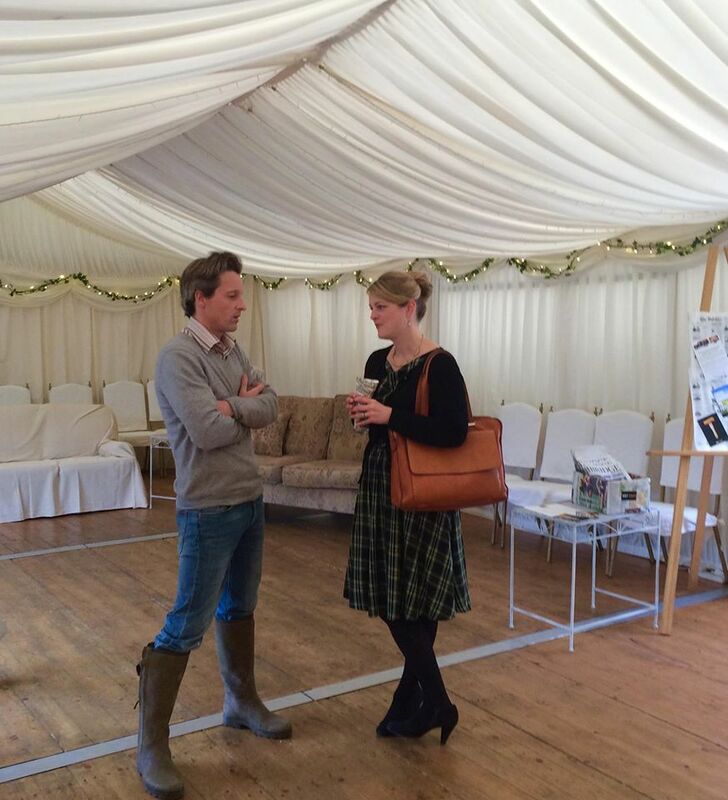 The fabulous launch was organised by Vhari Russell and Emma Bearpark of The Food Marketing Expert. 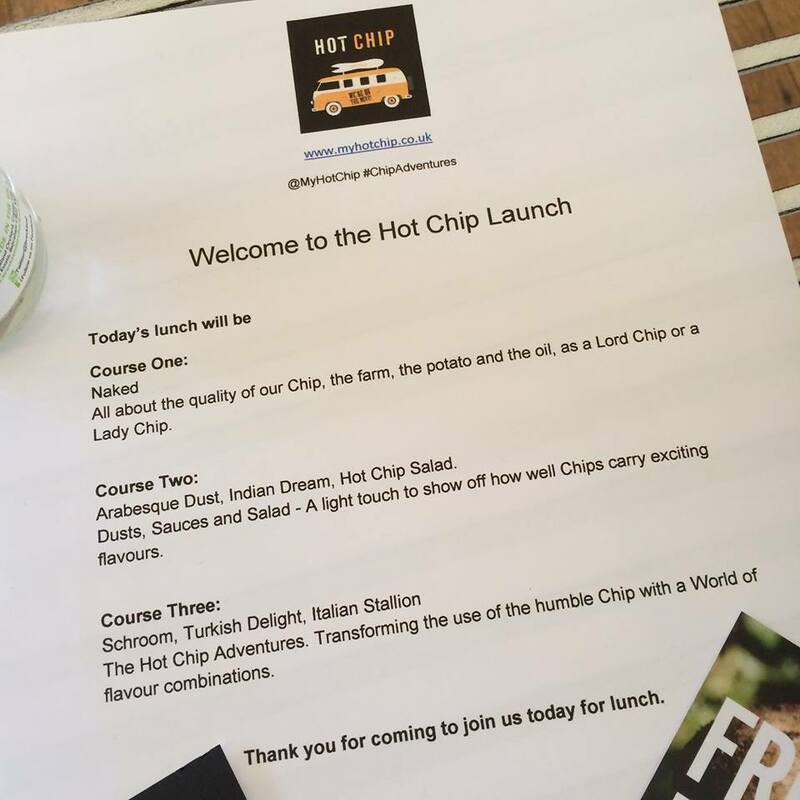 I was delighted to be invited to Hot Chip’s launch to sample some of their original menu items. Firstly, I was impressed by the chips themselves. Hot Chip definitely have the foundation right. It’s not a matter of heaping sauces and toppings to disguise an inferior chip. In fact, the chip is the focus and the other ingredients serve to enhance the dish. It was obvious that the freshest ingredients were sourced, from the potatoes to the herbs, cheese, vegetables and meat. 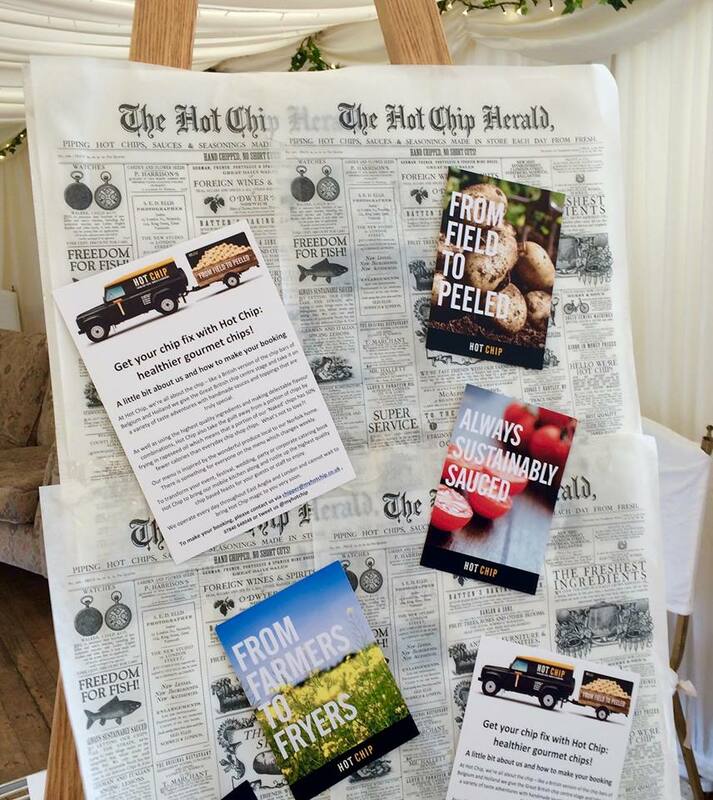 Hot Chip have access to some of the best potato growers in East Anglia and use high quality chipping potatoes, such as Maris Piper, Maris Bard and Fontaine. Their menu includes a choice of chunky (Lord) or skinny (Lady) chips. They even have sweet potato chips for their desserts, which we didn’t have the opportunity to sample on this occasion. Their chips are incredibly light and tasty. 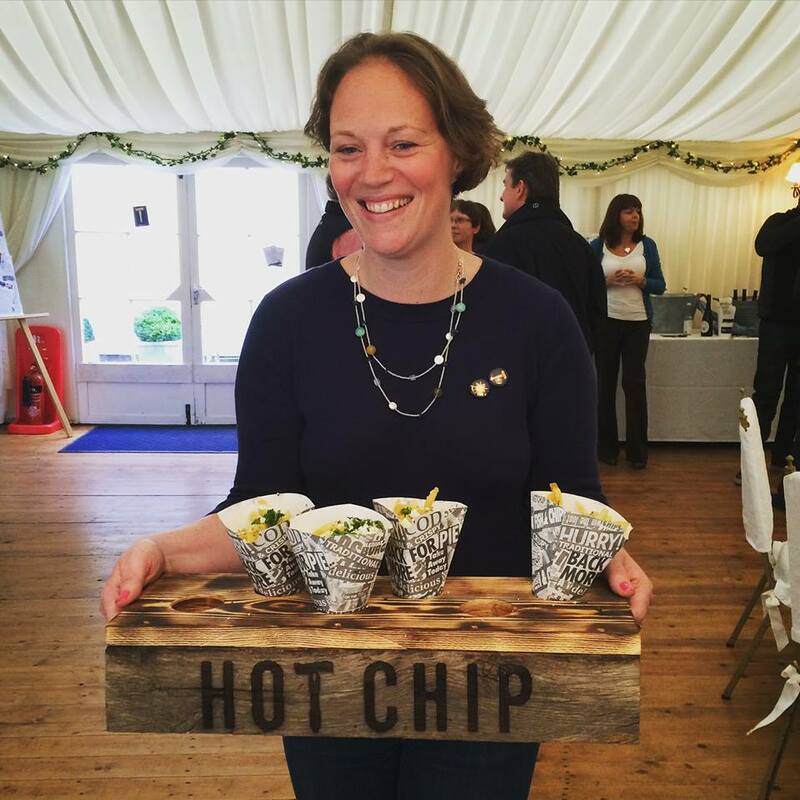 They are fried in rapeseed oil, which is lower in fat than olive or sunflower oil, and packed with Omega 3, 6 & 9 and vitamin E. We started the chip tasting session with “Naked” chips in order to showcase the quality of the farm, potato and oil. 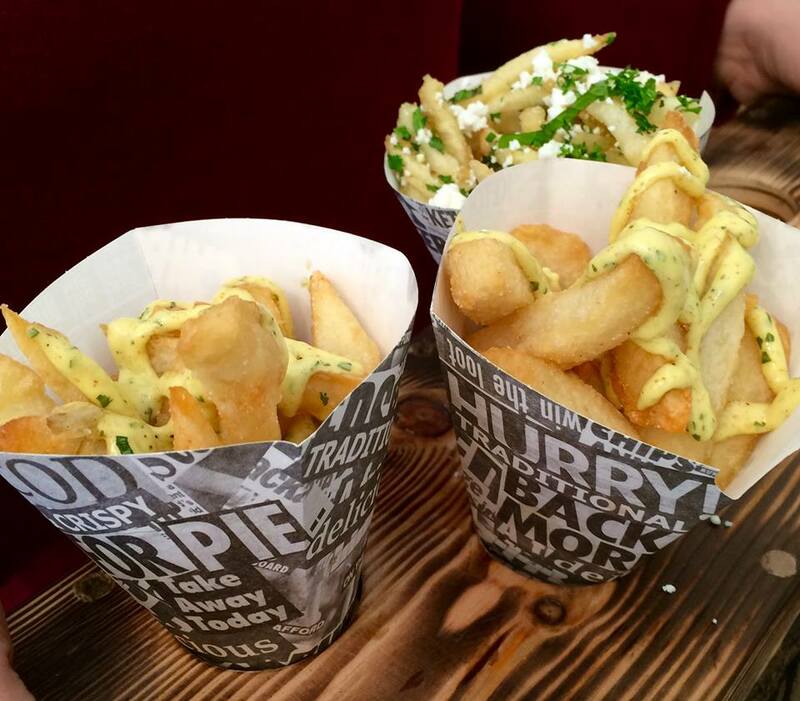 The “Naked” chips are also a menu option for the chip purists who don’t necessarily want sauces or toppings. They are seriously good! 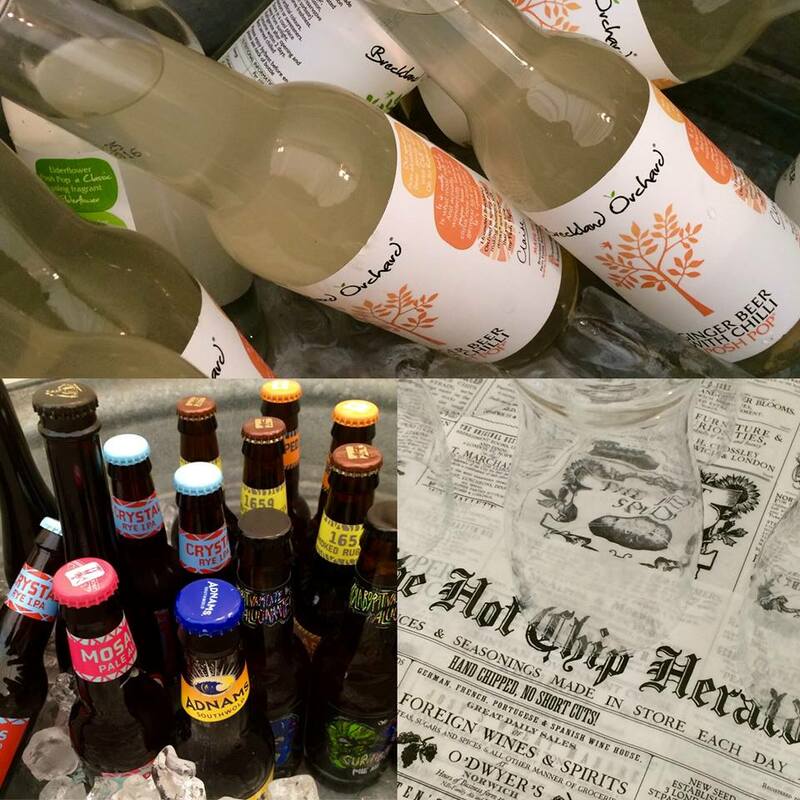 There were drinks on hand to complement the sampling, such as Breckland Orchard Posh Pop and a variety of beers, all of which are a perfect match with chips. We then progressed to sampling combinations with a light touch of exciting flavours in the form of dusts, sauces and salads. The “Arabesque Dust” had a dusting of cumin, sumac, pepper and spices. 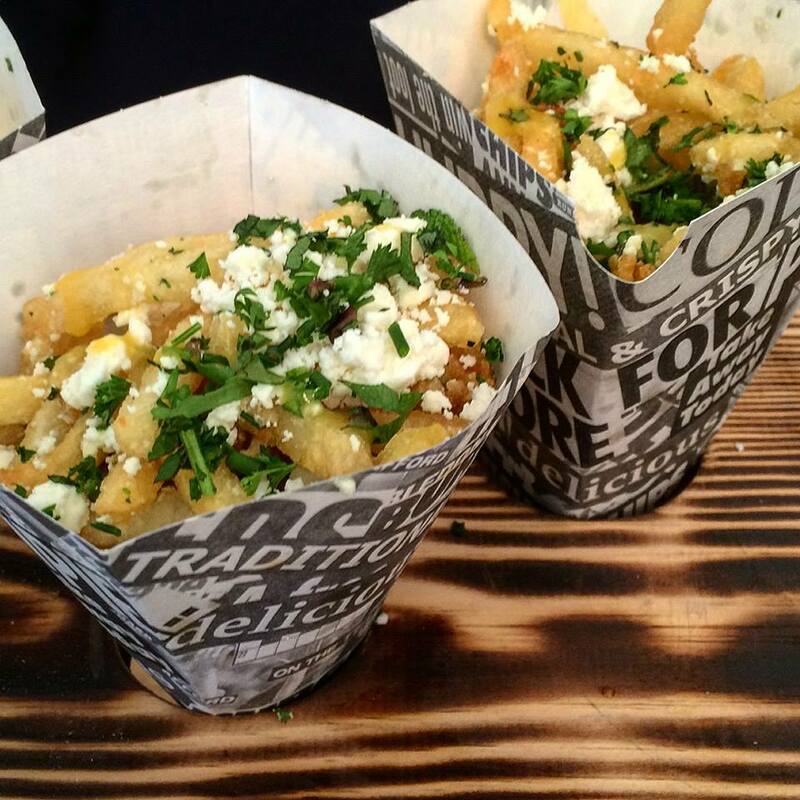 I really enjoyed the “Hot Chip Salad” with its fresh herbs, feta cheese and tasty vinaigrette. It worked well with the skinny (Lady) chips option. 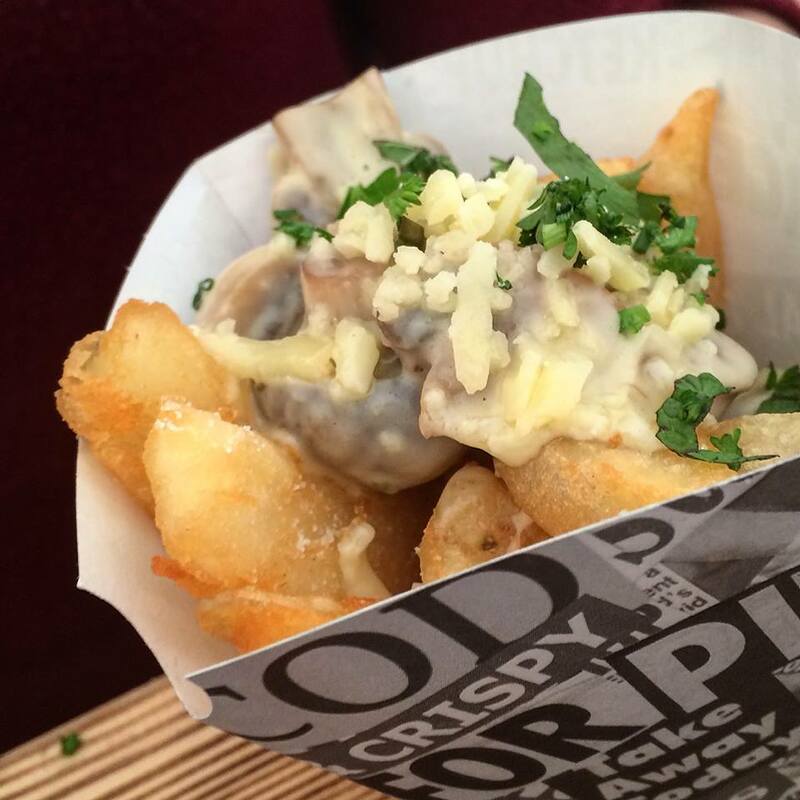 The “Indian Dream” featured chunky (Lord) chips topped with an amazing curry mayonnaise that was hand prepared by Hot Chip. In fact, all of their sauces are made with fresh local produce. The next three samples were adventurous combinations, starting with the “Schroom” featuring creamy mushrooms topped with cheese and fresh herbs. Scrumptious! The “Turkish Delight” was incredibly filling with its delicious ground lamb, Arabian spices and feta cheese. Yo, Adrian! 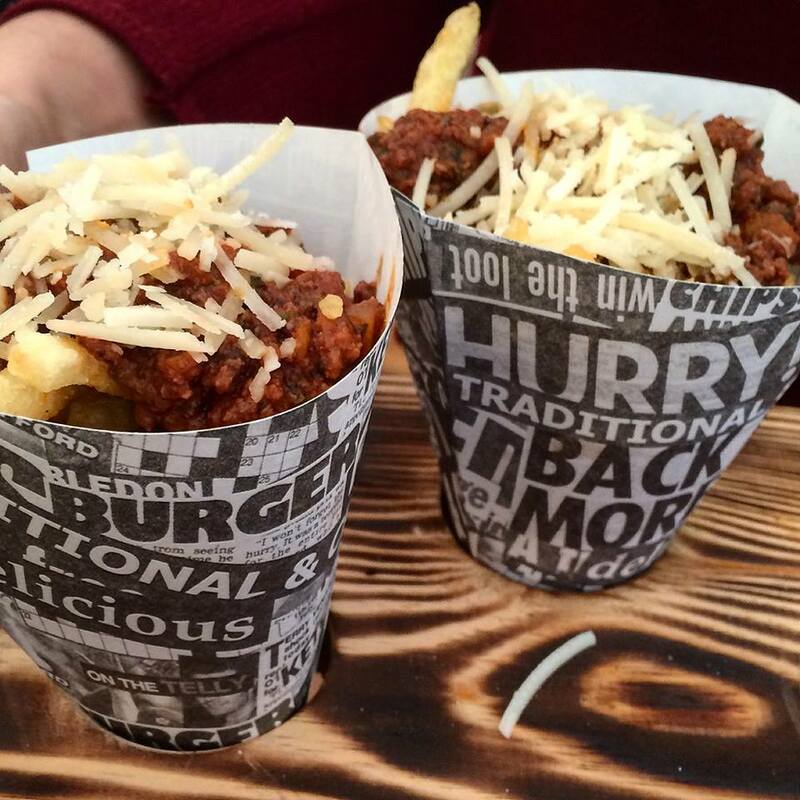 The “Italian Stallion” packed quite a tasty punch with beefy, herby rich Bolognese sauce and grated cheese. 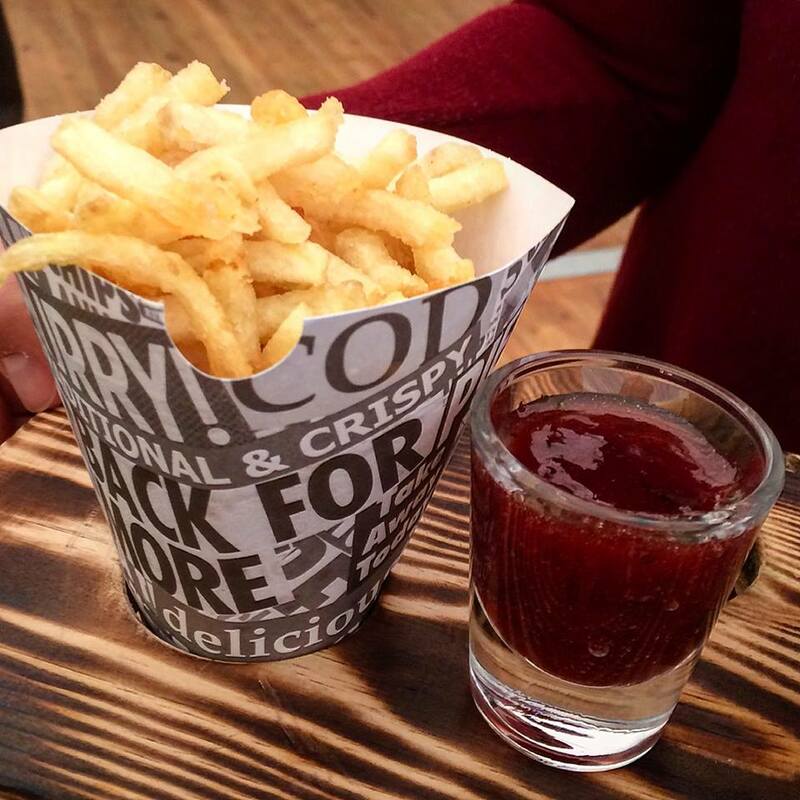 After tasting all three courses, we were surprised with a little something sweet… chips and jam! 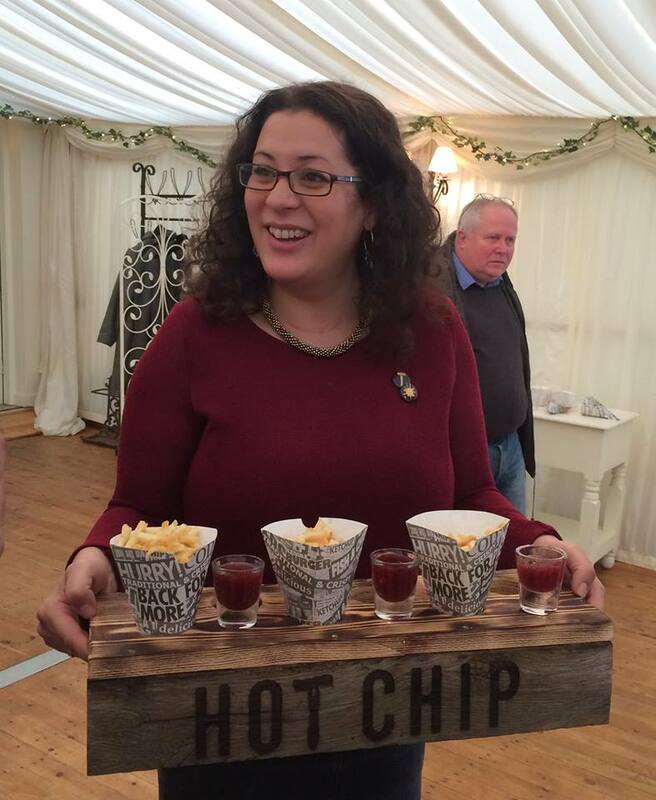 “Naked” skinny chips were served with little dipping pots of jam made with strawberry, mint and lime. Definitely unexpected but oddly enough, the jam went really well with the chips. I think it’s because the chips were so light and crispy. The goody bags we were given contained additional information on Hot Chip and some cute badges. I loved how the “bag” was really a cleverly folded newspaper (Cambridge News). 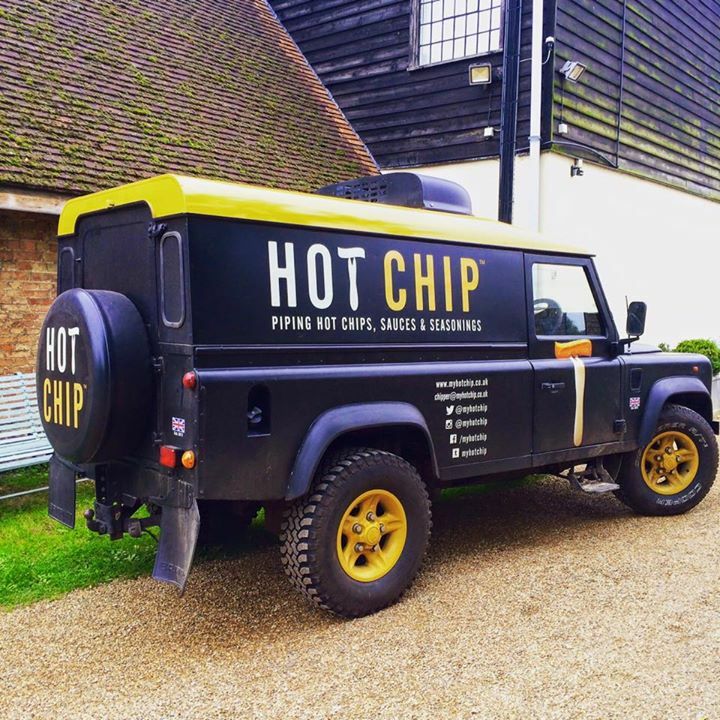 Keep an eye on Hot Chip’s social media (Twitter, Facebook and Instagram) to find out where you can indulge in some serious chip yumminess. 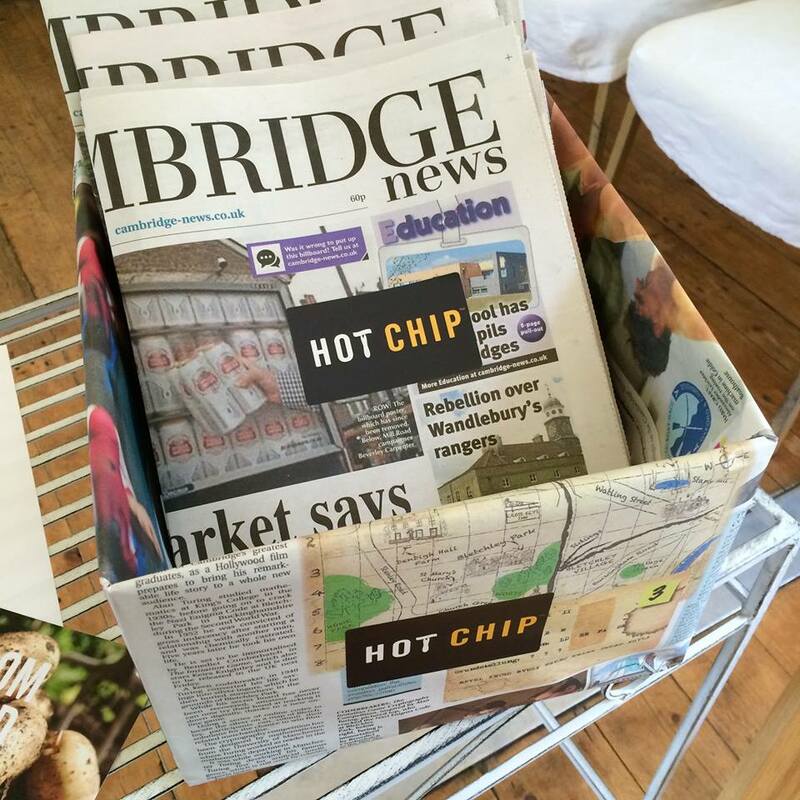 For now, you’ll be pleased to know that Hot Chip will be popping up at the Cambridge Town and Gown 10k run on 25 October, 2015. How exciting! 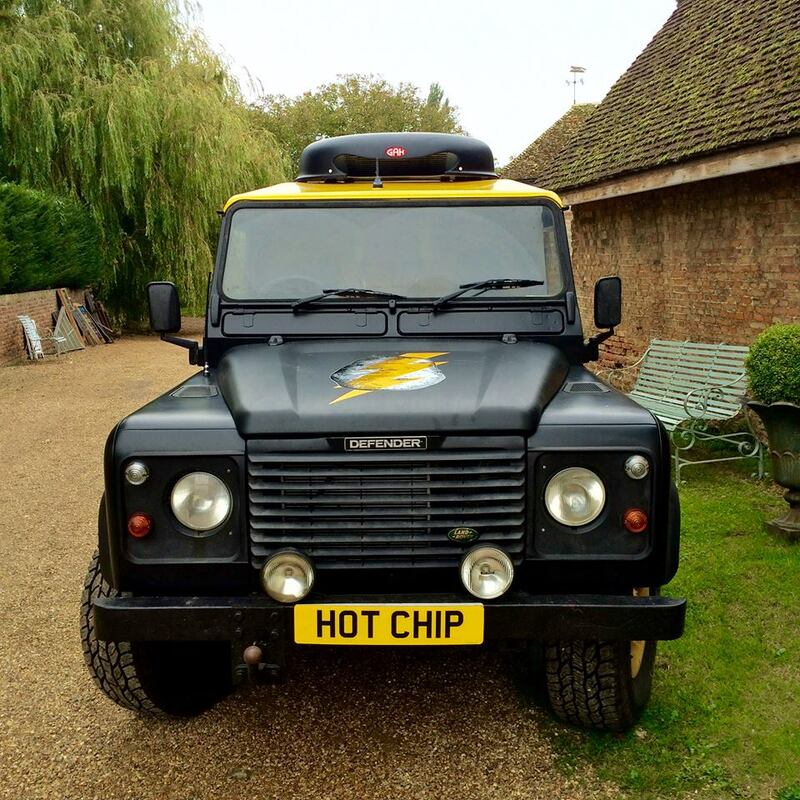 Hot Chip’s Land Rover will soon be roving the land right here in Cambridgeshire, delighting hungry people with their gourmet chips. Hot Chip invited me to attend the launch party but were unaware that my experience would be the basis of a written review. Although the food and drink were complimentary, all views are my own. I did not receive compensation for my review. This entry was posted in Food Events and tagged bolognese, Breckland Orchard, Cambridge, Cambridgeshire, chips, curry mayonnaise, Emma Bearpark, feta, french fries, fries, gourmet chips, Hot Chip, Hugh Crossley, jam, lamb, Land Rover, Lord Somerleyton, Norwich, Posh Pop, street food, The Food Marketing Expert, Toby Marchant, Vhari Russell by One Two Culinary Stew. Bookmark the permalink.